William "Bill" Edwards is helping to bankroll cityhood efforts in unincorporated south Fulton County. Edwards, who served on the Fulton County Commission until being defeated by Emma Darnell in 2014, gave $10,000 to the Coalition for South Fulton Now Foundation in 2015. This contribution is confirmed by Edwards' 30 June 2015 campaign finance disclosure, filed with the Fulton County Elections Department on 15 January 2016. 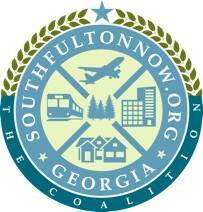 The Coalition for South Fulton Now Foundation, according to their website, is "a non-partisan coalition of engaged residents, business leaders, clergy and elected officials united to achieve the common objective of incorporation for the municipal area we live, work and play in unincorporated South Fulton." The Coalition for South Fulton Now Foundation has been one of the groups spearheading the efforts to create a new city, called the City of South Fulton. The group, first organized in 2015, achieved a major legislative victory this year when the Georgia General Assembly passed House Bill 514 --the so-called City of South Fulton bill-- and sent the proposal to Governor Nathan Deal's desk for his signature. Documents filed with Georgia's Secretary of State indicate that the Coalition for South Fulton Now Foundation, Inc is a 501(c)(3) tax-exempt, non-profit organization; although the group's registration could not be found on the IRS website. "The organization is organized exclusively for charitable, religious, educational, and scientific purposes under Section 501(c)(3) of the Internal Revenue Code, or corresponding section of any future federal tax code," reads the Coalition for South Fulton Now Foundation's Articles of Incorporation. IRS tax rules, governing 501(c)(3) organizations, say, "no organization may qualify for section 501(c)(3) status if a substantial part of its activities is attempting to influence legislation." Since its inception, the Coalition for South Fulton Now Foundation has dedicated a significant amount of its activities towards influencing state lawmakers to pass the City of South Fulton bill.